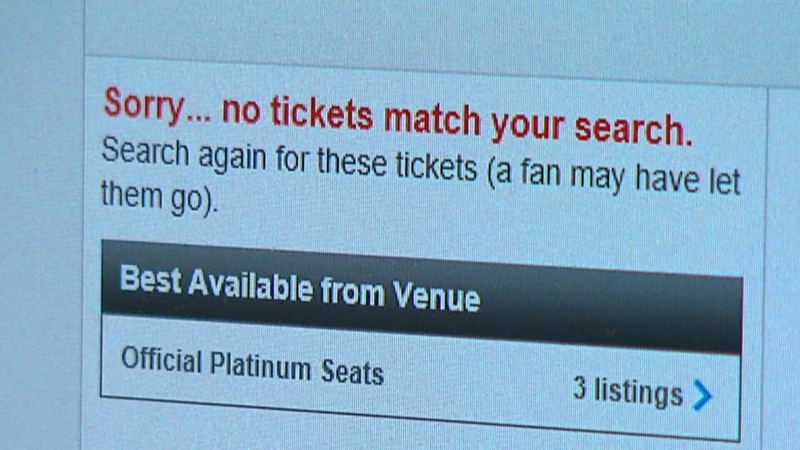 Anybody who has ever gone online to score tickets to their favourite act knows how frustrating it can be when shows sell out within minutes – but the B.C. government plans to make it easier for music fans and harder for ticket brokers. In Tuesday's throne speech, the NDP laid out plans to crack down on the use of software to buy large blocks of tickets and they're also considering putting a cap on the amount brokers can charge above the face value of a ticket. In an online survey filled out by more than 6,000 British Columbians, 82.5 per cent supported such a move. But broker Kingsley Bailey says a simple workaround to that rule would be bundling tickets with dinners, hotel stays or even cheap souvenirs. "You can divert your tickets into a VIP package and add an additional three to four-hundred dollars...and you're getting a hat, some buttons, a t-shirt," he said. For big shows, like this summer's Paul McCartney concert at BC Place, fans might expect close to 50,000 tickets to be available, but by the time presales are done, the public doesn't have access to nearly that many. "Fan clubs have early access, certain credit cards have access, radio stations have access, VIPs have access....if you're in the know, you get access to tickets," he said. Bailey cites a recent report from New York state's attorney general that shows anywhere from 50 to 70 per cent of tickets to most concerts never make it to the official release date. He says transparency rules around the number of tickets actually available to the general public would be a better idea for the province. On the issue of software bots scooping up hundreds or thousands of tickets, Bailey says sites like Ticketmaster already try to clamp down. He worries any new regulations will only serve to hurt locals like him, while allowing companies based outside B.C. to continue business as usual.